Adds a feed to the portal page, using threads available only in the portal. This plugin will allow you to not just use HTML but MyCode in your help documents. 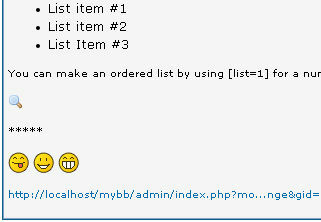 Will parse smilies, filter badwords, and short urls as well.